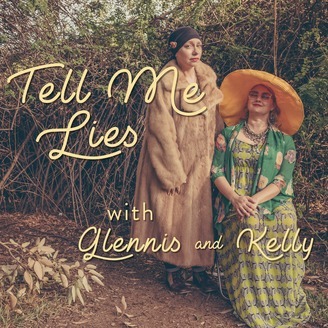 Tell Me Lies is a show about lies, secrets and deception. 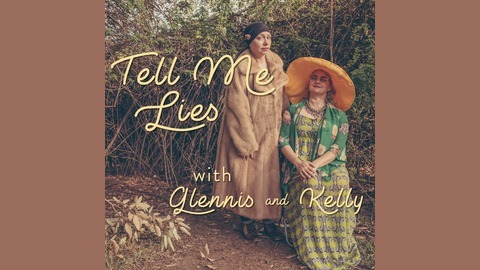 Laugh at/with hosts Kelly Dwyer and Glennis McCarthy as they delve into attempted self-awareness while discussing their lies, the lies of others, and what it takes to be a truly honest person. This week, Kelly and Glennis cover looking at your part in all things. Why is that person bothering you after so many years? Why do we let our parents' voices live in our heads? The ladies discuss one way to let it go by looking at your part. Plus: a voiceover from Kelly, and Glennis is not a monster! Thanks to MC Chris for our dope theme song! Follow @tellmeliespod (Twitter) @tellmeliespodcast (Insta) & on FB. Rate, review, subscribe if you like us! Then go love yourself.